Thomas Hezikiah Mix was born January 6, 1880 in Mix Run, Pennsylvania to Edwin (a lumberjack) and Elizabeth Mix. Tom spent his youth working on a local farm where he became a skilled horseman. Mix joined the U. S. Army and served as an artillery sergeant (1898-1901). He then took on odd jobs which led him to the Oklahoma Territory. While in Oklahoma he joined the "Miller Brothers 101 ranch", then "Widerman show" in Amarillo, Texas. In 1909 he worked with "Circle C Ranch Wild West show", owned by W. S. Dickey. Dickey had connections with the Selig Polyscope Company, an early motion picture company who were producing (silent) western films, he suggested Mix for a role in there westerns. 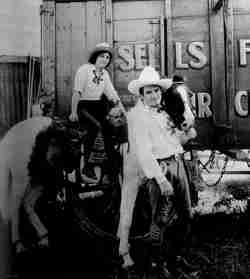 Tom's first role was in "The Cowboy Millionaire" (1909). Mix worked for Selig until they closed in 1917 then signed with the William Fox Productions. Mix became a Mega Star. 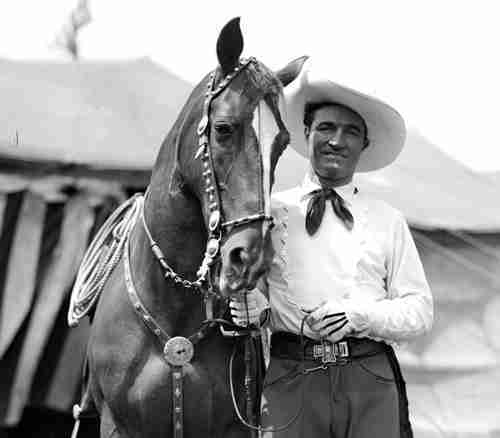 In his time the name "Tom Mix", was as well known as any Hollywood actor today. Although he made the transition into Sound films, by the late 1920s his popularity had begun to decline. 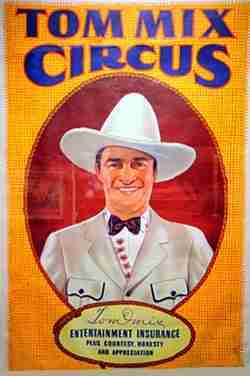 In 1929 he joined the Sells-Floto Circus as their feature attraction and stayed with the through the 1932 season. 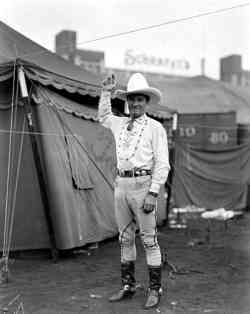 In 1934 Mix was with the "Sam B. Dill motorized circus" and in 1935 Mix bought the show to take out his own "Tom Mix Circus". The circus folded in 1938. Thomas Hezikiah Mix died October 12, 1940 (age 60), in an automobile accident near Florence, Arizona. A small monument marks the location on State Route 79, where Mix died.